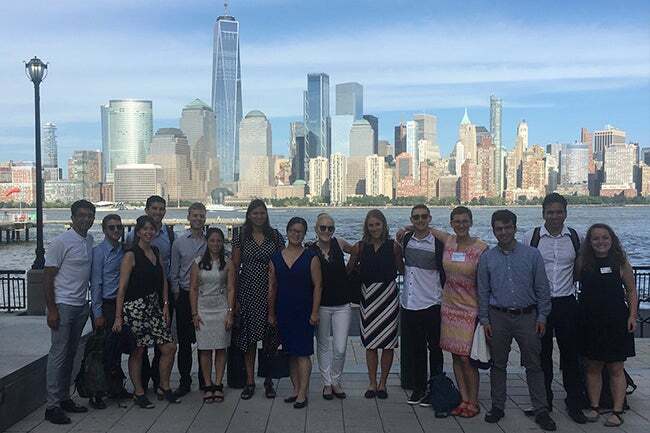 In May 2018, NYU Stern welcomed its inaugural class of Andre Koo Technology and Entrepreneurship MBA students to campus to begin their focused one-year MBA program. During the first semester this summer, students not only took courses in both the required Business and Technology cores, but also stepped out into New York City for immersion trips to Silicon Alley companies every Friday. 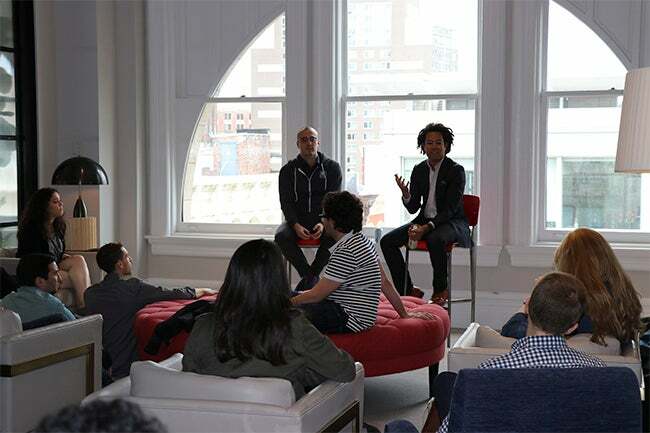 The students met with leaders at companies including Deloitte Digital, General Catalyst, Goldman Sachs, Google, Grand Central Tech, Oscar Health, and T. Rowe Price, to gain insights from executives leading the conversations in their industries. The summer curriculum also included a Stern Solutions experiential learning project with Citi Ventures. 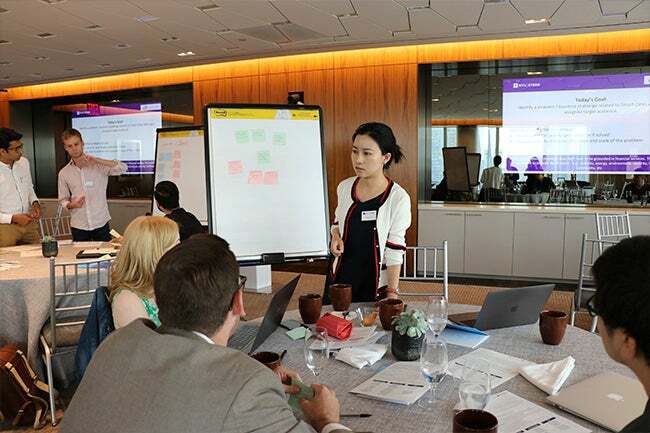 Through Stern Solutions projects, MBA students work with faculty and alongside corporate partners to tackle actual business challenges in real time. Over the past three years, the number of MBAs overall participating in Stern Solutions projects has increased by more than 160 percent. Throughout the summer students also engaged in workshops focused on topics facing the tech sector today, such as Design Thinking, Storytelling with Data, and User Experience and participated in panel discussions, including Ethical Challenges Facing the Tech Sector. NYU Stern Andre Koo Tech MBA students work onsite at Citi Ventures in teams on their first Stern Solutions experiential learning project. Students were charged with the following challenge: design and pitch a business solution that will create new value by solving a specific problem for stakeholders transforming the future of cities – making them smarter, move livable and more responsive. 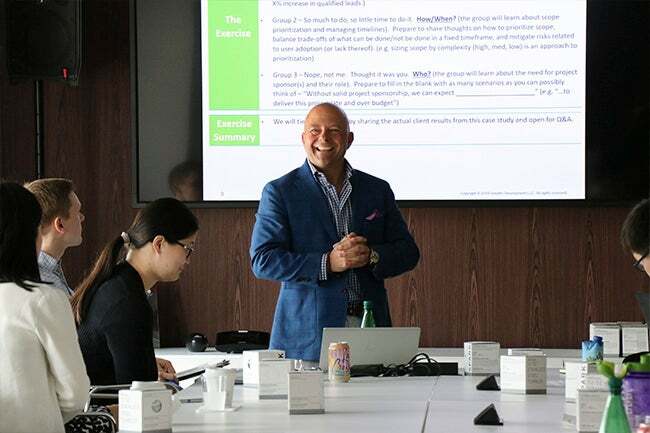 During a visit to Deloitte Digital as part of their NYC summer immersions trips, NYU Stern Andre Koo Tech MBA students learn the do’s and don’ts of project planning and scoping in a session led by Mike Ice, Partner, Deloitte Digital. 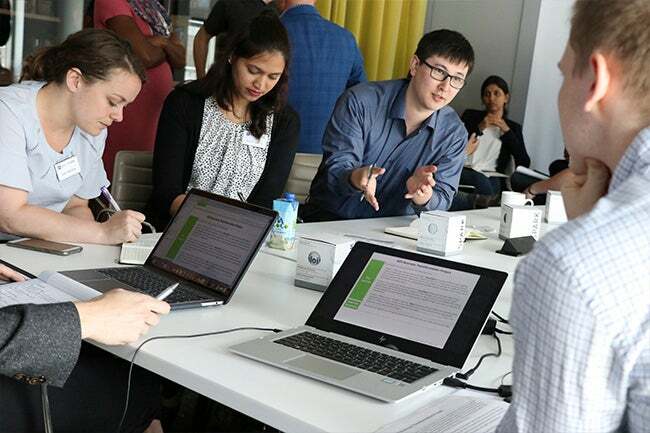 NYU Stern Andre Koo Tech MBA students collaborate at Deloitte Digital as part of their NYC summer immersion trips. NYU Stern Andre Koo Tech MBA students hear from Spencer Lazar and Peter Boyce, II, at General Catalyst for an additional perspective on venture capital and the East Coast tech ecosystem. 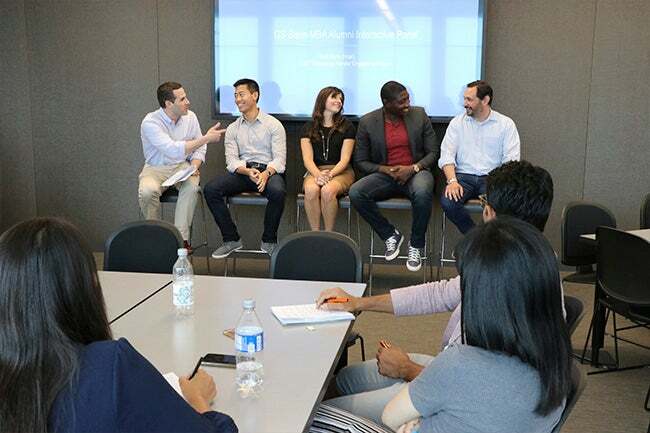 While visiting Goldman Sachs, NYU Stern Andre Koo Tech MBA students hear real-world insights from a Stern MBA alumni panel including Matt Stern, Chief Operating Officer, Technology; Jackson Yang, Global Head of FX Technology; Marissa Paragano, Manager at Marcus; Nonso Ogbonna, Head of Solutions Engineering Group; and Eric Brothers, Head of IMD Knowledge Management. NYU Stern Andre Koo Tech MBA students pose after visiting Goldman Sachs and meeting with the digital strategy team, where they were introduced to New York Fintech opportunities. 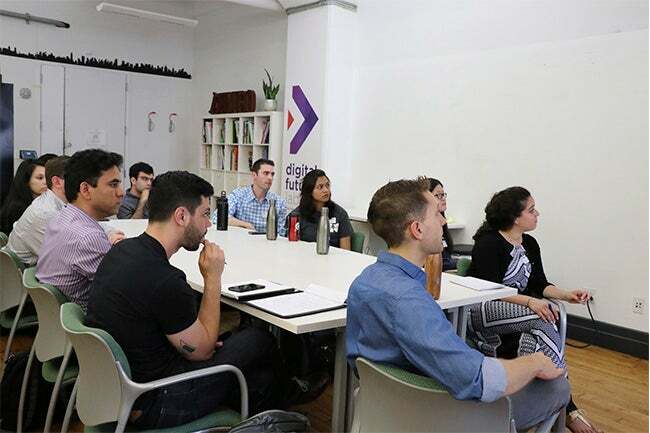 NYU Stern Andre Koo Tech MBA students visit NYU Tandon’s Digital Future Lab to receive an introduction to the NYC tech startup ecosystem from the Lab’s General Manager Craig Wilson (MBA '14).